In this guide we’ll look at the best GPS watches for hiking. With a wrist-based heart rate monitor, Chroma display and waterproofing up to 100m, it’s no surprise that the Garmin Fenix 3 HR tops the list as the GPS watch for hiking. The Garmin Fenix 3 HR both talks the talk, and walks the walk! It’s highly advanced in its features, has a lovely sleek design, and it’s durable – with protective PVD-stainless steel bezel and buttons, and reinforced housing. The sunlight-visible, high-resolution Chroma display has an LED backlight, and this watch can withstand a depth of up to 100 meters underwater. With such a range of features, you may think the battery life suffers. Well, think again! This watch has a battery life of up to 40 hours in battery saver mode, 16 hours in GPS mode and 2 weeks in smartwatch mode. 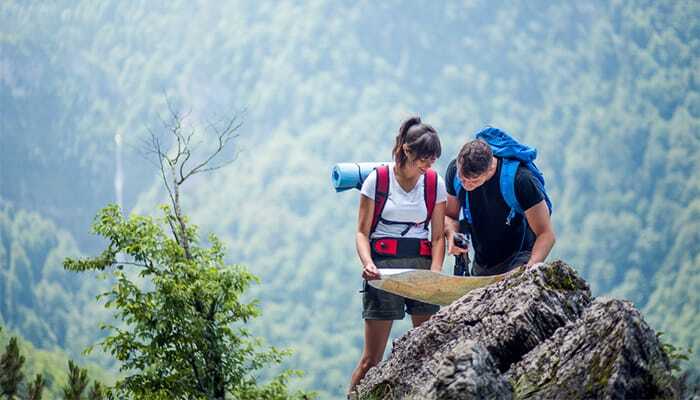 The GPS and GLONASS satellite recognition can pinpoint your location easily and accurately in more challenging environments, and you can sync your hiking data using Garmin Connect. Finally, this watch is great if you want to track your progress. It offers advanced running dynamics for runners, and a built-in heart rate monitor to give you real-time data during your hike. Like most GPS watches, it has a 3-axis compass, altimeter and barometer to ensure you’re never caught off guard. With wrist-based heart rate technology, a battery life of 9 days and activity profiles for all your sports – as well as an accurate GPS and GLONASS reception, the Garmin Fenix 5S Sapphire is a well-deserving runner up. This GPS watch is loved by adventurers all around the globe, packed with fun features to help you make the most of your hike. The Fenix 5S is one of Garmin’s premium multisport watches. Whether you’re hiking, running or biking, this watch has a wrist-based heart rate monitor, built in activity profiles, navigation functions and performance metrics; all packed into one sleek, stylish and compact watch. The outdoor sensors include GPS and GLONASS satellite reception and a 3-axis compass. It also comes with a barometric altimeter. The display on this Garmin model is bright, high-resolution and full colour, with LED backlighting. The device is available in a range of colors and has a selection of QuickFit bands in a choice of premium leather, metal or silicone. The Fenix 5S Sapphire is also packed full of sophisticated training features to monitor your form and performance with great accuracy. The best trail-running GPS watch on the market, the Garmin Forerunner 935 should be top of any fitness enthusiast’s list. Lightweight, stylish and compact with a host of advanced features, this watch is a must-have if you’re looking to improve your fitness or seeking a healthier lifestyle. Keen trail runners might already have heard of the Garmin Forerunner 935, a watch loved throughout the running community. First things first, this watch is stylish, compact and sleek; available in black or yellow. It’s comfortable, weighing just 49 grams – ideal for longer runs or all day hikes. This watch is equipped with a barometer, altimeter, electronic compass, and GPS/GLONASS connectivity; but it’s the advanced running features give it that extra special something. The Garmin Forerunner 935 evaluates your training status, letting you know if you’re underdoing it or overdoing it. It provides a range of dynamics and statistics for running, cycling and swimming – as well as ground contact time and stride length to help prevent injuries. It’ll give you optimum training recommendations, and will analyse your technique whether you are swimming, biking, sprinting or running. Smart notifications are delivered to your wrist, and connecting with Garmin Connect will give you audio prompts, music controls and let your friends follow your runs. It also connects with Strava for live feedback during your activities. Built for longevity and with a 3 satellite system, the Coros Unisex Pace is durable and accurate – perfect for men and women alike. Connect it to the Coros app to track your performance and see advanced statistics on your activities. The Coros Unisex Pace GPS watch comes in a choice of black, blue and red. It features a wrist-based heart rate monitor and performance metrics for running, swimming and cycling. It also delivers alerts for calls, texts, emails and social media applications. For sports, this watch is a great choice. It delivers performance metrics when you need them, including advanced statistics for running, swimming and cycling using the built-in heart rate monitor. The battery is built for longevity, performing up to 30 days in standard mode and 25 hours in GPS mode. Unlike the other GPS watches which use solely GPS and GLONASS, this watch boasts a 3 satellite system – GPS, GLONASS and BDS to work together for exceptional accuracy. Finally, the Coros app is perfect for analysing and tracking your performance, and graphical statistics available include pace, cadence, elevation and heart rate zone activity. 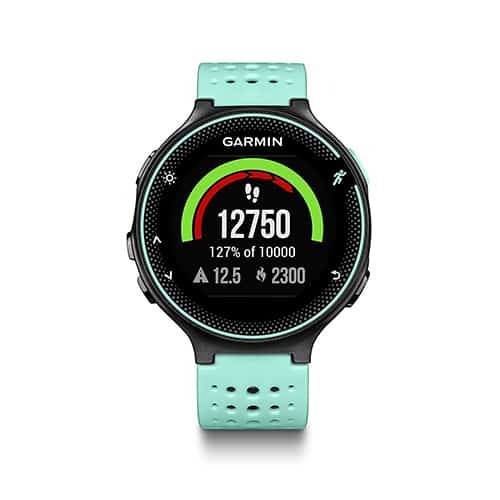 Another fantastic fitness watch, the Forerunner 235 has wrist heart rate technology, activity tracking and analysis, plus connectivity to Garmin Connect. Audio prompts, smart notifications and social media sharing make this one of the most advanced fitness watches on the market. This watch also offers wrist heart rate technology, activity tracking and automatic uploads to Garmin Connect. It tracks distance, pace, time and heart rate, as well as providing audio prompts, smart notifications and social media sharing. If you’re trying to get fit and healthy, this watch can also count your daily steps, distance, calories and sleep. The smart notifications will tell you if you’ve received an email, call, text or social media alert, while the weather widget will let you know the real-time forecast. For those very committed runners, the Forerunner 235 also provides a V02 Max estimate. This is the maximum volume of oxygen used during activity and is a fantastic indication of your fitness. There’s also a move bar with a vibration to alert you if you’ve been sitting still for too long. Finally, the battery life is 12 weeks in watch mode, and 12 hours in training mode, and it has GPS connectivity. Unlike the 935 which is great for swimmers, this is only really optimized for running, biking and hiking, but for an accurate and all-round fitness and health tracker, it’s a fantastic choice. A good watch is futile without a good battery, and the Suunto Ambit3 has one of the best, perfect for those longer hikes and runs. With everything you need to track and analyse your activities plus a 200 hour battery life, the Suunto Ambit3 will be with you every step of the way. The Suunto Ambit3 Peak HR GPS watch boasts one of the best battery lives on the market, and it also makes a fantastic trail running watch for fitness enthusiasts. It’s packed full of all the ABC essentials, a built-in altimeter, barometer, compass and GPS. It also has a 100 meter water resistance and comes either with or without a heart rate monitor. This watch is as reliable as it is advanced, The battery life is 200 hours with 1 minute accuracy, and it’s widely renowned as one of the best sports watches there is. Connect the watch to your smartphone and use the Suunto Movescount app to share your adventure. Enjoy route navigation and track back, weather information, activity based recovery time, speed, pace and distance, and training programs. You can upload and share your activity instantly, and receive alerts for calls, messages and notifications. Whether you’re summiting a mountain or wanting to get another personal best, the Suunto Ambit3 will be with you every step of the way. 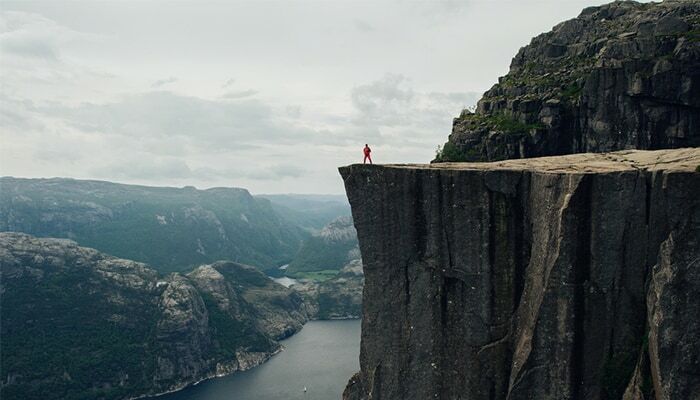 For the ultimate outdoor experience, check out the Suunto Traverse Alpha. It boasts a range of useful hunting and fishing features, as well as all the usual ABC features and GPS connectivity – all packed into one advanced and compact GPS watch and available in a range of colors. If you’re not convinced a hunting watch will be much use, the Suunto Traverse Alpha is here to prove you wrong. This has a full set of outdoor features, combined with a sturdy build to keep you going no matter what you’re up to. With GPS/GLONASS navigation, you won’t go too far wrong, and the built-in compass is great for keeping you on track. The topographic maps allow you to plan your routes and you can keep a hunting and fishing diary on the Suunto Movescount webapp. The hunting and fishing tools are what really make this watch stand out. The automatic shot detection keeps track of when and where you shoot for later viewing. The points of interest means you can mark trails and important locations, sunrise and sunset alerts help you plan your day, and the moon phase calendar helps you determine the best times to head out. Finally, the barometric pressure graph lets you closely follow changes in the weather – a must-have for any keen hunters or fishermen. Modern GPS devices come with an array of advanced features, many of which you won’t know what to do with! The more advanced the features, the more expensive your GPS watch will be. 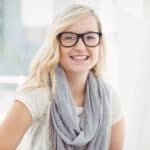 Here’s the 411 on what features you should be looking for. Basic GPS watches will have an altimeter, barometer and compass. These are known as ABC watches and any extra features on top of these will cost you more. Altimeters measure the air pressure and use this to track your altitude. While not 100% accurate, they can be useful especially if you are using a topographic map or hiking around mountainous areas. Altimeters can be more accurate than GPS devices as they don’t require a signal. While GPS signal can be lost up mountains, altimeters simply rely on the air pressure. A barometer is a nifty feature that does more than just give you a weather forecast on your wrist. These measure the atmospheric pressure and can tell you when there’s a storm on its way. If you’re out on a long hike, knowing whether rain or a storm is expected is extremely useful, and a built-in barometer can go a long way towards keeping you safe. Ah, the trusty compass. Nearly all GPS watches will have a built-in compass, some more advanced than others. 2D compasses only work if you hold the watch totally horizontal, while 3D will work no matter how your compass is held. While many hikers think a compass is unimportant if you have a GPS, remember that having your GPS on all the time can drain your battery life. Likewise, if you are unable to get a GPS signal, a compass and map is a great alternative. Not all GPS watches have a thermometer, although I personally like it as an extra feature. However, as they are worn on your wrist, they can be difficult to keep accurate as they may adjust to the temperature of your body. Thermometers are good for measuring the temperature and adjusting your layers accordingly. For best accuracy, take it off your wrist while you measure the temperature. Perhaps it goes without saying that your GPS watch should have a GPS. The level of advancement however, will depend on the price you’re willing to pay for your watch. If you are hiking alone, you will want a GPS that pinpoints your location quickly and accurately. Most watches now support GPS and GLONASS satellites, and a few also support BDS. All three satellites will mean greater accuracy and speed at picking up your location. Other information your GPS can show is speed, duration, distance and total ascent – great if you are tracking your progress. Many GPS devices will come with pre-downloaded topographic maps and, while these are no substitute for a GPS, they can keep you on track if you lose signal or you don’t want to waste your battery. Extra maps can be downloaded at a cost (or if you’re particularly computer-savvy you will can them for free). Knowing how to use a map and a compass is an essential life skill, and many hikers enjoy knowing they have a GPS to back them up if need be. Modern GPS watches usually have a Wifi connectivity, a feature that is prioritized by many and totally lost on others! Connecting your watch to your smartphone has its perks. 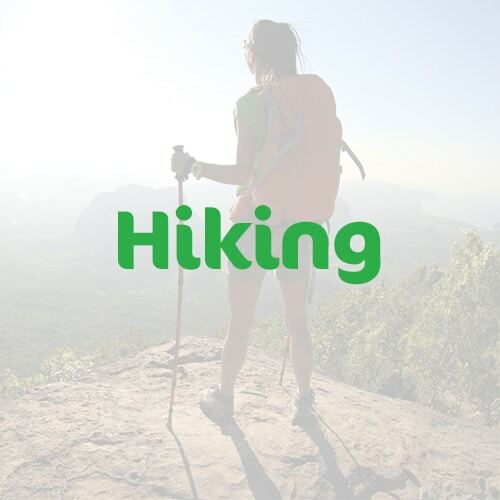 You can download hiking data to your phone, plot your heart rate on a graph via an app and connect with other like-minded people. For others, Wifi connectivity is an unnecessary extra. If you want to get away from it all and you’re not bothered about using your smartphone, opt for a watch without it to save money and battery. If you take one thing from this guide, it’s that water resistant should not be confused with waterproof. Most watches are water resistant, but not all are waterproof. While your water resistant watch will withstand a downpour, that doesn’t mean you can go swimming wearing it! If you want to go underwater with your GPS watch, it’s essential you buy one that is waterproof. Even then, be careful you don’t go deeper underwater than the watch can handle – watches can be purchased for a range of different depths. Keen swimmers will want to take advantage of waterproof fitness watches. These can track your time, speed and heart rate while underwater and are invaluable when it comes to monitoring your progress. Many GPS watches can record and show your heart rate. This feature is fantastic if you are working on your fitness, trying to lose weight or want to track your activities. Noticing your resting heart rate slowing can be a great motivator and encourage you to push harder for longer. They will also help you maintain a steady pace on hikes and runs. While some GPS watches track your heart rate through your wrist, others require a chest strap which can be a little fiddly and uncomfortable. However, chest straps are far more accurate than wrist-based heart monitors, and users are constantly having issues with inaccurate wrist monitors. Bluetooth connectivity allows you to connect your watch to your phone or computer without needing built-in Wifi. This is a great alternative to Wifi connectivity as watches with bluetooth functionality are often cheaper, but offer the same features as Wifi-connected devices. With bluetooth connectivity, you can sync your watch to your smartphone, allowing you to download and analyse your workouts to an app on your phone. You may also receive notifications straight to your wrist. Industrial-sized watches packed full of features are all well and good if you only want to wear it for hiking. If however, you want a watch that not only keeps you company on hikes but also looks good day-to-day, design will be a consideration. GPS watches that can be worn out and about (while still looking good!) will have a low-key design and are less bulky. The specific survival watches look like something that might have been used in the 30s so are best avoided if you want something you can wear day to day! Essentially, a smaller face and less bulky is good for day to day. Large faces with lots of plastic are great for hikes, but won’t get you many style points. A GPS watch for hiking is generally robust and comfortable, preferably with a thick and durable strap. Many GPS watches have a sapphire glass lens to resist scratches, although this does make them more expensive. Very durable and tough watches might feel bulky on smaller wrists, and they may also be heavier. Lighter, more minimalist watches that are designed for running or day-to-day use could be less durable and resistant to scratches or cracks. However, these will be more comfortable on smaller wrists. The price of the cheapest GPS hiking watch on the market versus the most expensive can be enormous. Cheaper devices will have less features but, like your trusted Nokia phone, they may be more durable and will have a longer battery life. High-end watches will be more intuitive, with larger, brighter screens, and they will most likely be touchscreen. They will be packed full of features, but bear in mind this will mean a shorter battery life. You may also find they are less durable and sturdy, like wearing an iPad or smartphone on your wrist! Mid-range devices are more stylish than the low-end options, with a sleeker look. They won’t have as many smart features as the expensive devices, but the battery will last longer and the device will be simple to use, with the design practical for everyday wear. 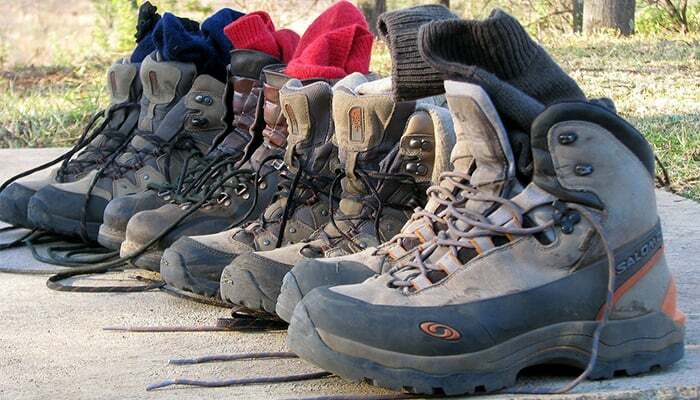 The quality of the strap doesn’t cross many hikers’ minds, but it is important. Your watch should be comfortable and a rough or itchy strap is only going to annoy you, especially as you get sweaty. The strap should also be sturdy and tough. If you’re spending hundreds of dollars on a watch, you want it to stay on your wrist! While you may think a few extra grams won’t make much of a difference, if you’re on a week-long hike or running a marathon, they can. A bulky watch can be irritating, and the more advanced, modern watches will have a sleeker, more lightweight design. Cheaper GPS watches with less advanced features are often bigger and heavier; not ideal for long runs. Another essential consideration is battery life. Just as your brick-resembling Nokia has a better battery life than your smartphone, advanced watches with bundles of features won’t last as long as their more basic counterparts. Watches that have bluetooth, Wifi connectivity and a backlight will struggle more when it comes to battery. However, these will still last longer than your smartphone, so either way they are a good investment. Ensure you turn off the GPS, Wifi, backlight and bluetooth when you’re not using it and, if you don’t need it, then turn off notifications and alerts. Running all the features at the same time will drain the battery faster than you might think. GPS watches are a fantastic investment and, provided you take care of them properly, will last you a long time. 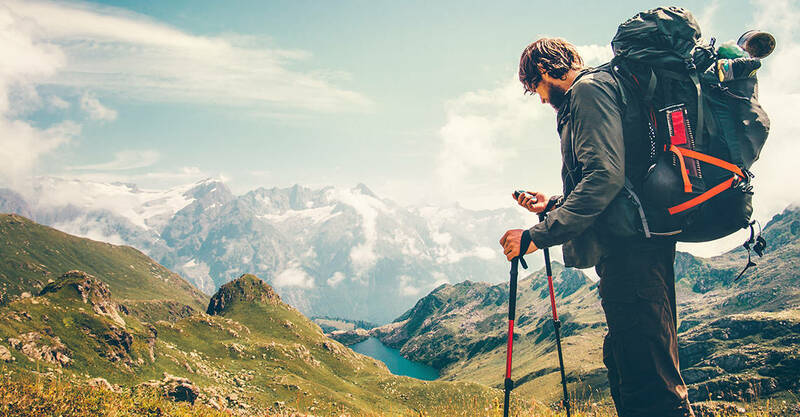 Whether you are using one to track your hiking progress, or you simply want a little extra backup next time you’re lost in the woods, GPS watches can be found to suit a range of styles, needs and budgets – you just need to know what you’re looking for! Thanks for checking out my guide to GPS hiking watches! 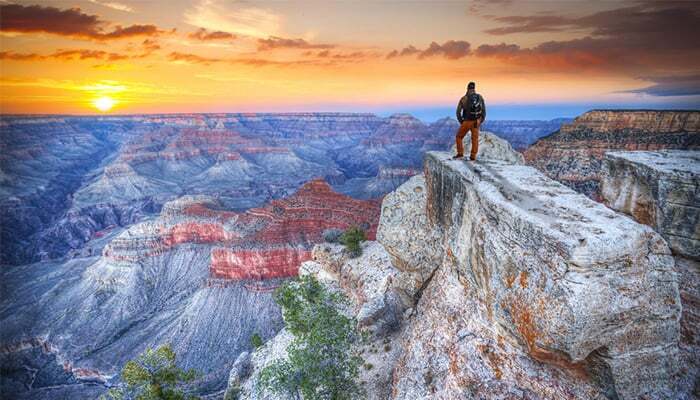 From the Grand Canyon to Machu Picchu, hiking is the best way to see some of the world’s great wonders. Hopefully I’ve given you some practical advice to help you get out there and explore!